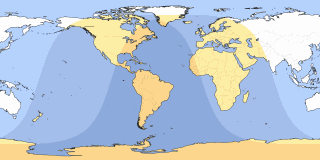 The animation shows what the eclipse approximately looks like in 41°56'N, 72°36'W. Stages and times of the eclipse are outlined below. All times are local time (EST) for 41°56'N, 72°36'W. Note: Click on the date link for details in 41°56'N, 72°36'W, or the path map image for global details. Currently shown transit is highlighted.